Apply latest 12th of June 2017. 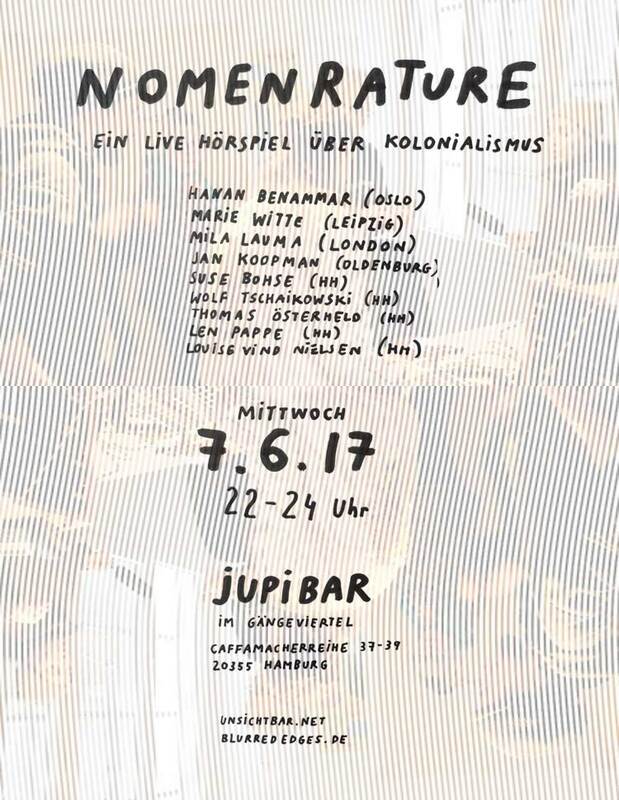 Through the work-and-title-in-progress lexicon Desert Bærbær we will investigate Hamburg's colonial history in the workshop NOMENRATURE by French/Algerian Oslo-based artist Hanan Benammar. 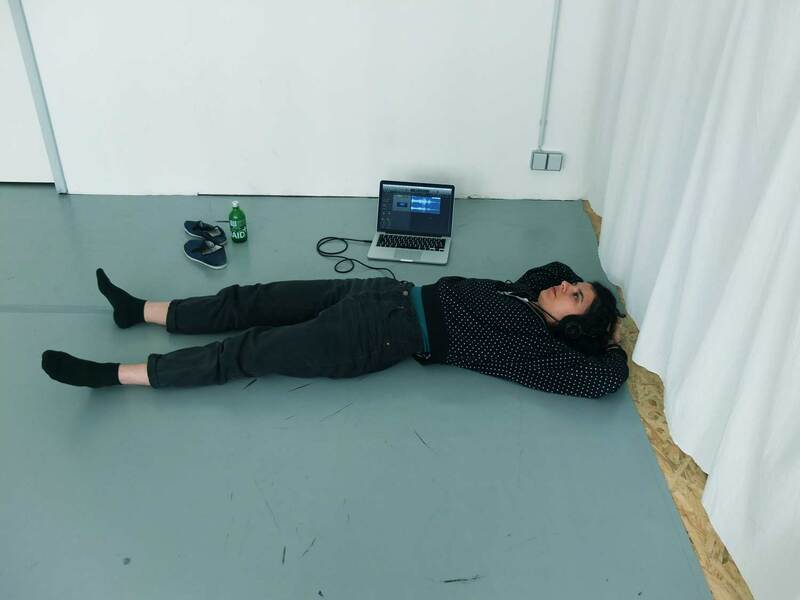 The workshop participants are invited to join a collective artistic research and to perform an experimental radio play together, which will be sent live through Radio FSK. 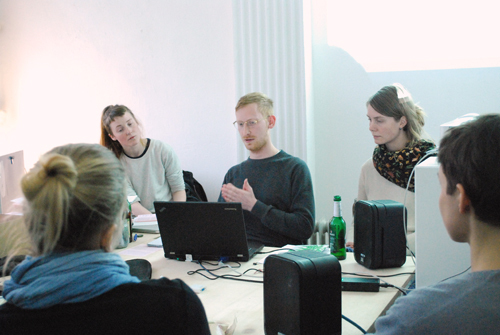 The title of the workshop is a neologism of the words Nomen (lat. : name) and Rature (fr. 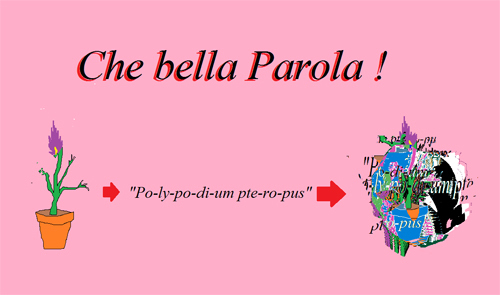 : to cross out words with a horisontal line) referring to Nomenclature (br. : system of names). 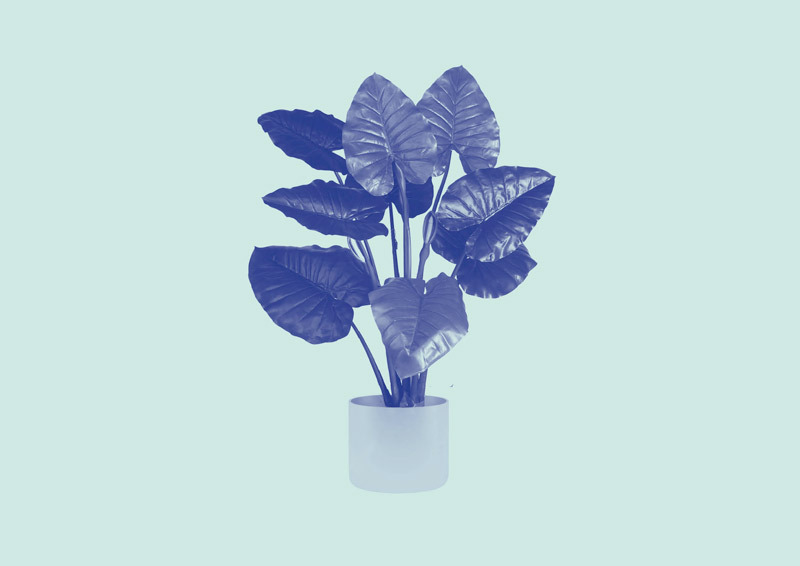 In the performative installation piece Shamanistic Cultivation Camp by Austrian artist Claudia Lomoschitz, based in Hamburg and Vienna, we will listen to exotic plants and fruits, exploring the ethical borders of inter-organical relationships. Is it possible to force a plant to read the latin alphabeth? Is it acceptable to keep an ananas trapped in a plastic bag? 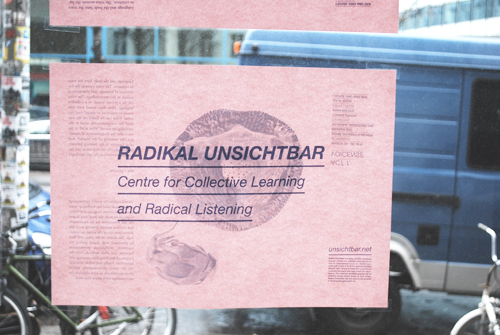 Radikal Unsichtbar is a series of workshops, lectures, writings and collective exhibitions focussing on contemporary sound art and the act of listening in relation to community and society. 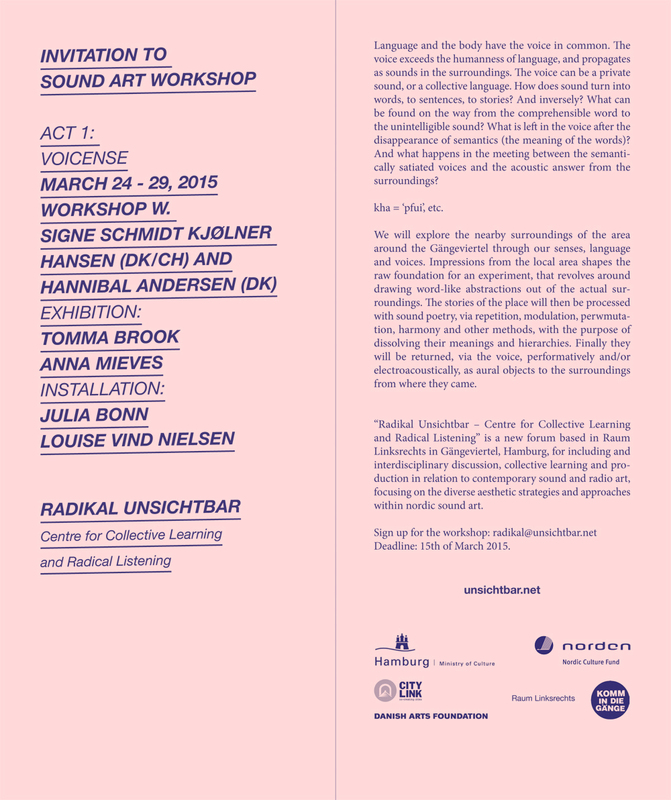 Central for every ACT is a workshop conducted by sound artists based in Scandinavia. 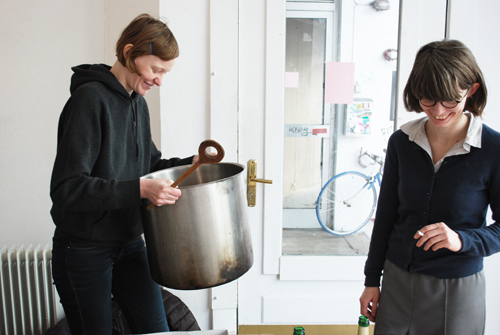 The collective workshop process is exhibited among related works by local artists. 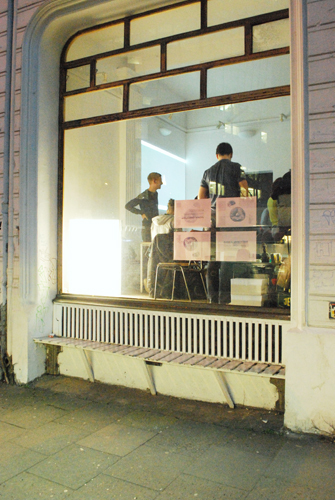 ­Radikal Unsicht­bar is based in Gängeviertel in Hamburg. 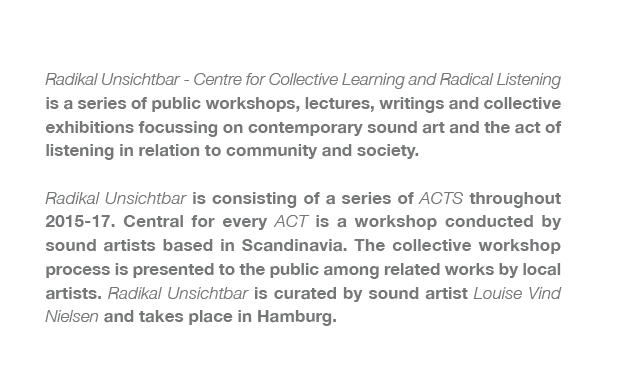 Radikal Unsichtbar ACT 5: NOMENRATURE is presented in collaboration with Radio FSK (Freies Sender Kombinat), Museum für Völkerkunde Hamburg and Raum Linksrechts in Gängeviertel, and is kindly supported by Hamburger Kulturbehörde, Nordic Culture Fund and Danish Art Council. 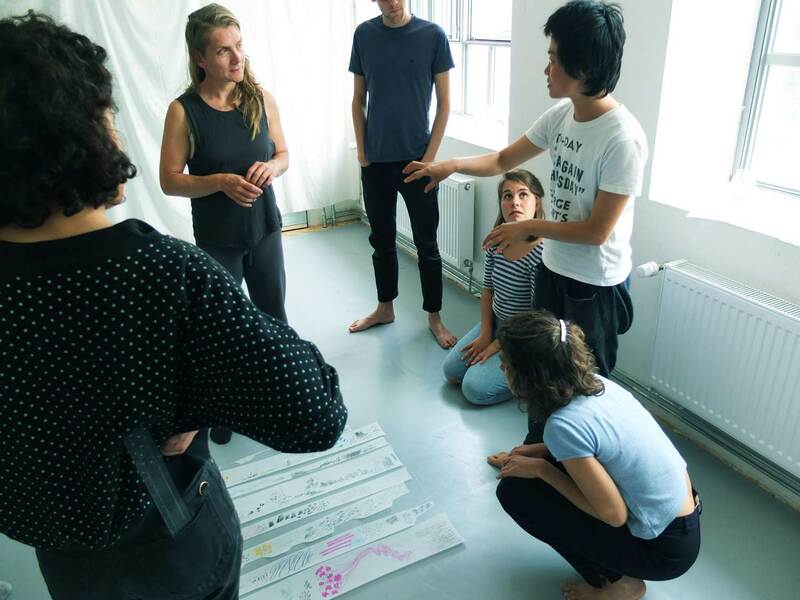 Francis Patrick Brady invites the workshop participants to create a communal science-fictional language through play and ritual. Using the voice and a generative card game a system of new rules will be performed and played by what he calls the "T.A.T." - The Temporary Autonomous Tribe. Francis Patrick Brady (b. 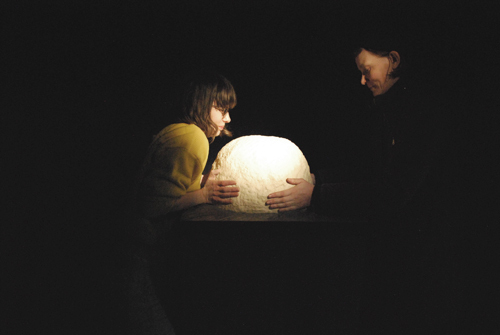 1988, Toronto, Canada) is an artist, writer and lecturer living and working between Malmö, Sweden and London, England. 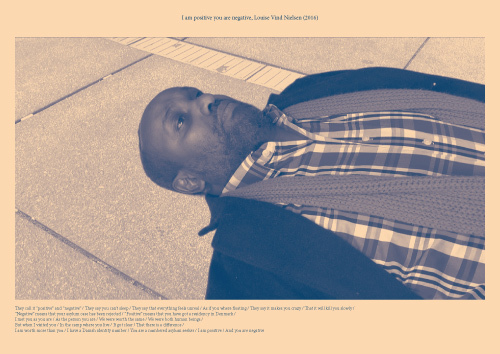 He has developed a practice based in performance and role play within art conference and university institutional contexts often subverting the usual course of interaction through spoken word or play. 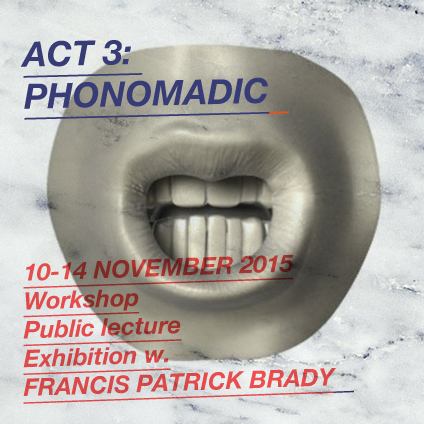 Francis Patrick Brady will present his artistic work, and give a lecture in topics relating to the workshop. Finally he will introduce us to the workshop project: "Phonomadic". Deadline: 8th of November 2015. Most musical instruments are constructed as extensions of the human body, enabling the human to perform certain sounds that it otherwise wouldn’t be able to produce. The instrument is so to say expanding what is naturally possible for the human. Consequently the instrument is often constructed with regards to the scale and structure of the human body - as a kind of prothesis. The human has the ability to operate and play the instrument. Yet, in order to “master” an instrument one needs to train and discipline one’s body. An exercise that requires human nature to adapt to the nature of the instru- ment. 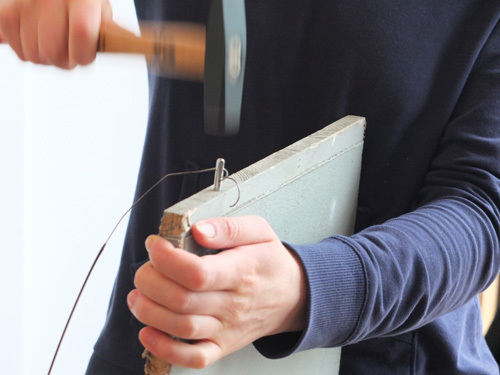 What characterizes the relationship between the body and the instrument? What happens when the instrument exceeds human scale, e.g. when it is able to play itself without the presence or influence of human beings? Or when the composition runs 10 times longer than an average human life. 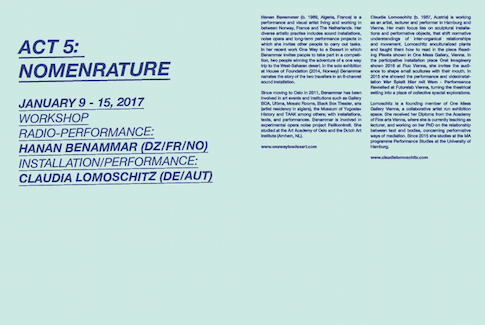 Instrumenature will be a practical and artistic investigation of the musi- cal instrument in relation to the body. 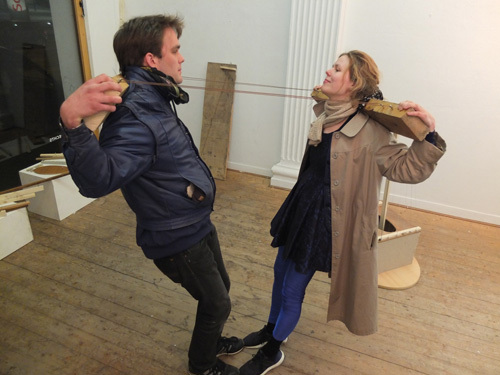 We will explore the sculptural and auditive qualities of the instrument in relation to the human body. 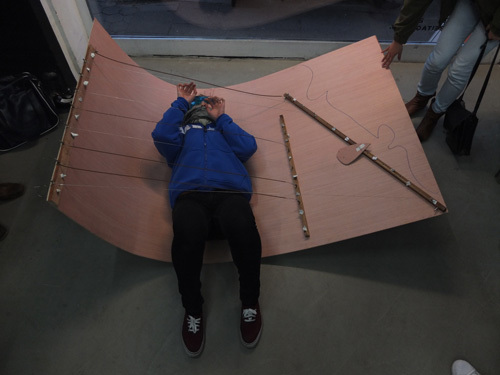 We will investigate the possibilities and limits of musical instruments, and build our own. We will shape materials and construct instruments for human beings and beyond. Finally we will unite with our creations and send out sonic sculptures into our surroundings. 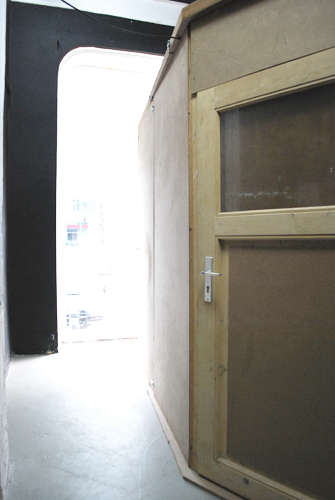 Sounds and shapes that didn’t exist in this space before. 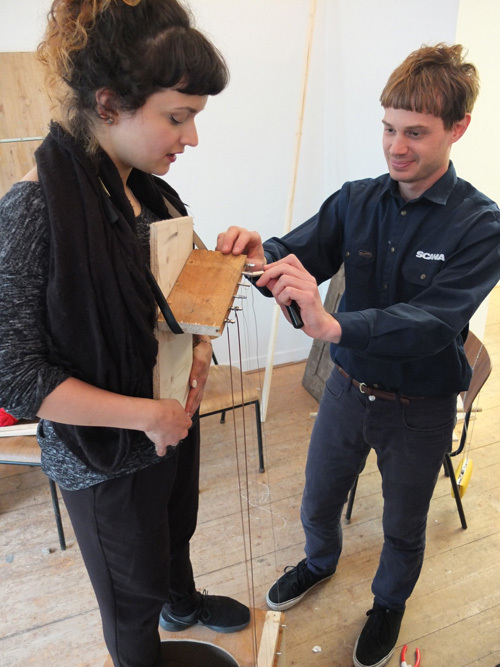 Ragnhild May and Kristoffer Raasted will present their artistic work, and give a lecture on the history of instruments. Finally they will introduce us to the workshop project: "Instrumenature". Deadline: 7th of May 2015. 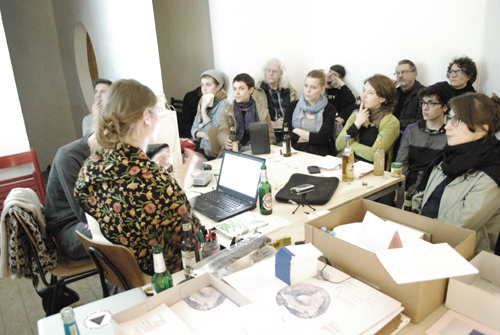 Together with the artists conducting the workshop Radikal Unsichtbar publishes a booklet for every ACT. 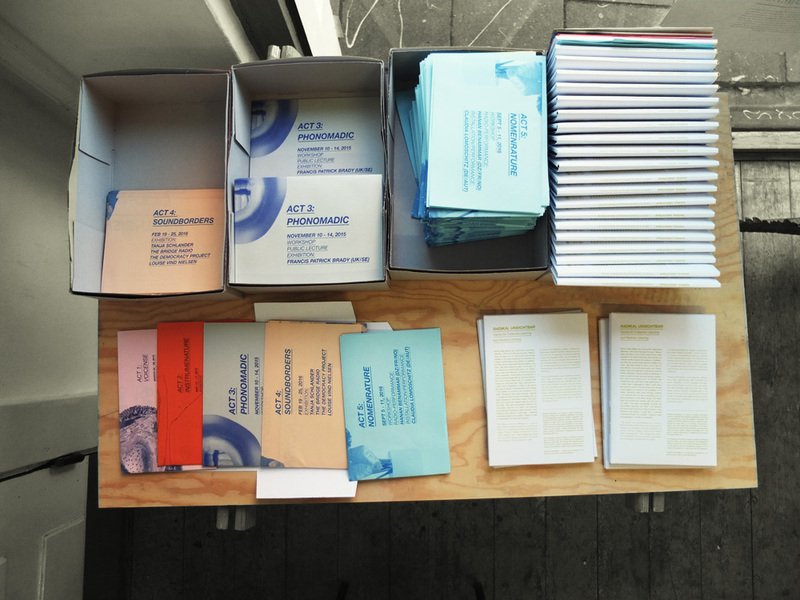 The booklets consist of research materials, essays and interviews, and functions as a supplement to the other activities. The booklets are collected in a cover forming a book which is published on our own label. Language and the body have the voice in common. 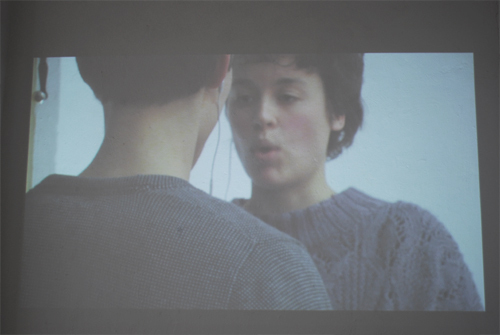 The voice exceeds the humanness of language, and propagates as sounds in the surroundings. 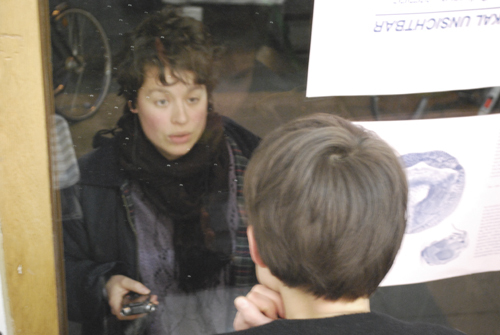 The voice can be a private sound, or a collective language. How do things turn into words, to sentences, to stories? And inversely? 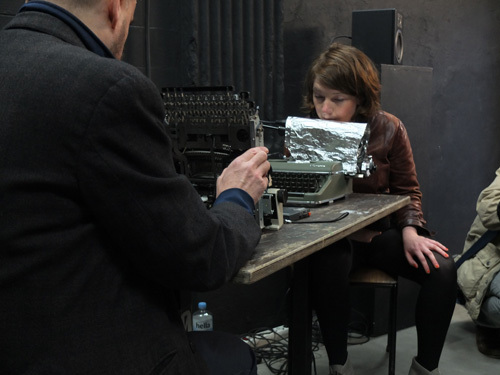 What can be found on the way from the comprehensible word to the unintelligible sound? What is left in the voice after the disappearance of semantics (the meaning of the words)? 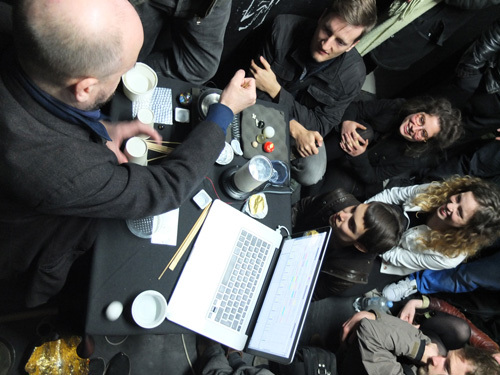 And what happens in the meeting between the semantically satiated voices and the acoustic answer from the surroundings? 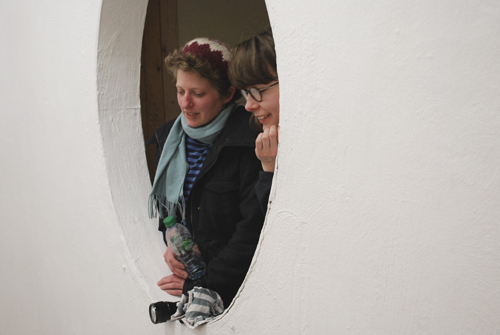 We will explore the nearby surroundings of the area around the workshop-place through our senses, language and voices. 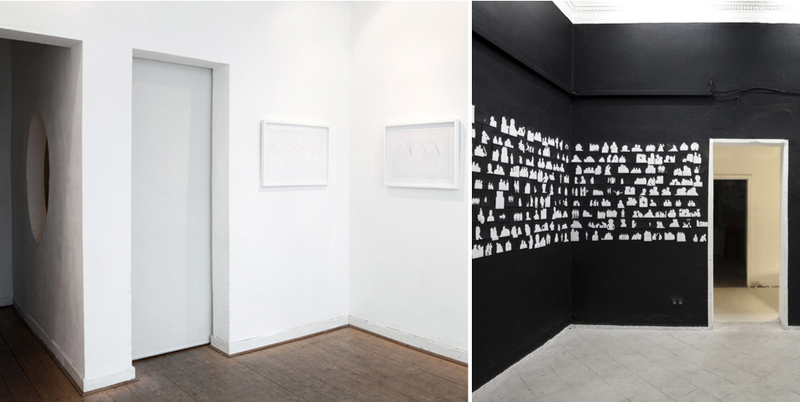 Impressions from the local area shapes the raw foundation for an experiment, that revolves around drawing word-like abstractions out of the actual surroundings. 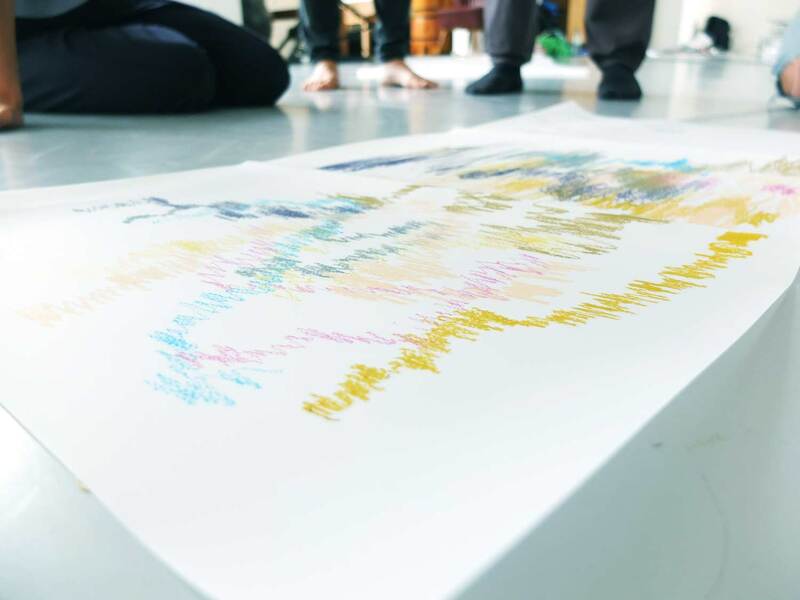 The stories of the place will then be processed with sound poetry, via repetition, modulation, permutation, harmony and other methods, with the purpose of dissolving their meanings and hierarchies. Finally they will be returned, via the voice, performatively and/or electroacoustically, as aural objects to the surroundings from where they came. An experiment based on the ideas of linguistic Saussaures theories on how meanings of language is understood through differences, or through what things are not! 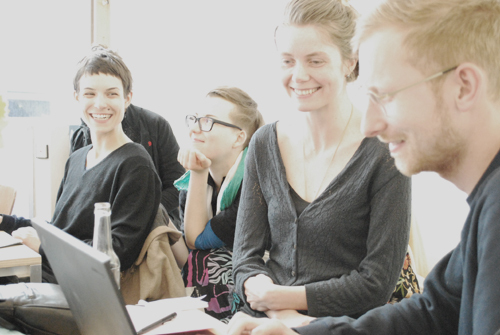 We were experimenting with deconstructions of language and the meaning of words through "positive" and "negative" explanations of what we encountered in the city. 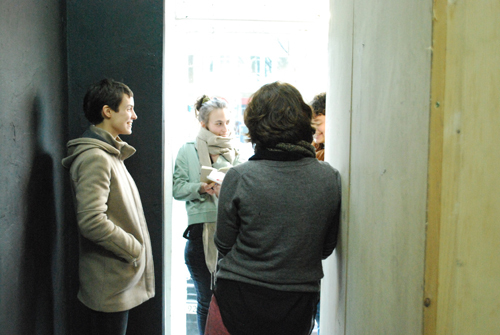 In the evening the workshop participant developed and showed performances inspired by the experiments. 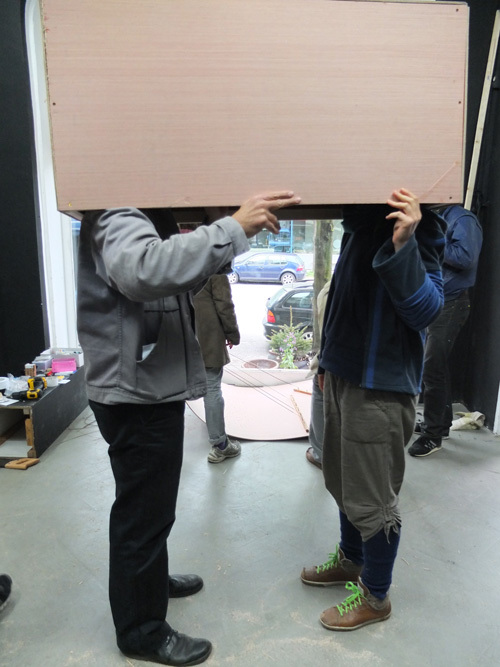 WORKSHOP DAY 2 - "ECHOLALIA"
Based on the experiment from 1974 by Nancy Holt and Richard Serra, we investigated how perception and understanding of speech and language changes when one is exposed to an echo of ones own voice. 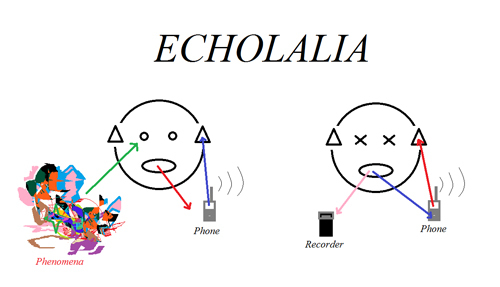 In the Echolalia-experiment the workshop participants worked together in groups of two. Via mobile phone the first person explains what they see, through colors, shapes and movements. The second person imidiately repeats what the first person says. 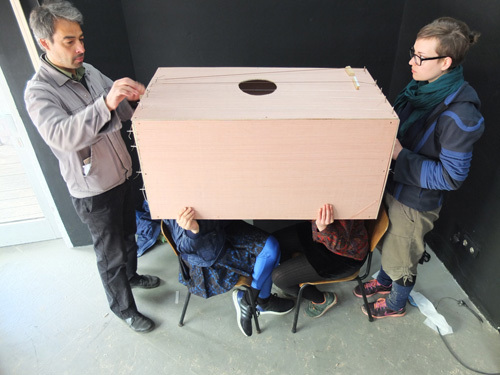 The workshop participant developed and showed performances inspired by the experiments. WORKSHOP DAY 3 - CHE BELLA PAROLA! The title of the experiment is inspired by the story of an Italian army on a mission. When encountering the enemy the sergeant orders the soldiers to attack: "Soldiers attack!" Nothing happens. The sergeant shouts again louder: "Soldiers attack!" Again nothing happens. Once more the sergeant shouts, this time even louder: "Soldiers attack!" Still nothing happens, until a soldier shouts back:" What a nice voice!" 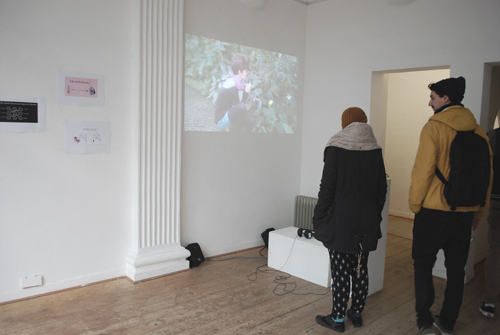 The experiment focusses on the aesthetics of language rather than the meaning of the words. We went to the botanical garten in Planten un Blumen and wrote down the latin names of the plants. 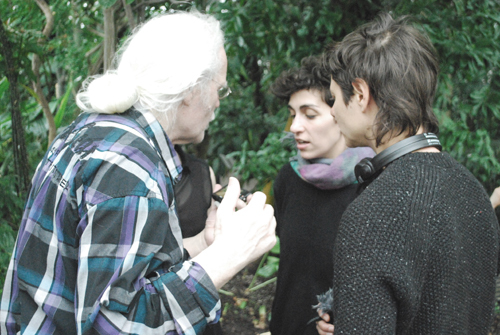 The workshop participant wrote down the names of the plants, tasting the sounds of the words and were leading dialogues with each other only using the names of the plants. 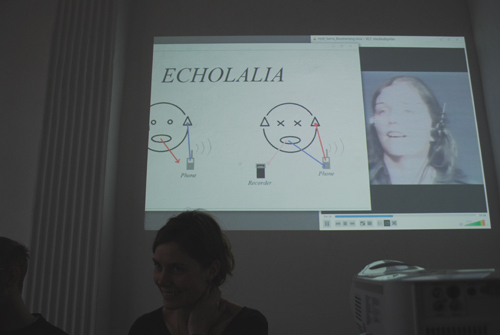 They formed a choir only using the phonetics, and finally the workshop participant developed and showed performances inspired by these experiments. 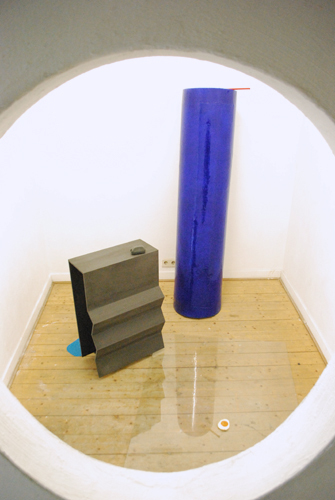 Julia Bonn originally installed this piece as a "SPACE FOR SCREAMING - SPACE FOR ALTERNATIVE ACOUSTIC PERCEPTIONS" (Gallerie Speck, 2010) - A room in which you can let your inner voice out without restrictions and consequences. 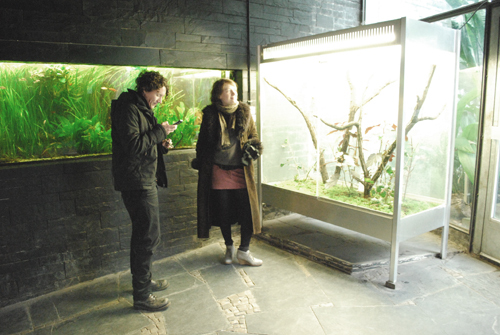 In the installation at Radikal Unsichtbar Louise Vind Nielsen re-defines and reverses the installation by letting the amplified sounds from the street outside into the dark room, in order to create an intense experience of listening to the city, without the abstraction of and confrontation with visuality and the bodies of others. 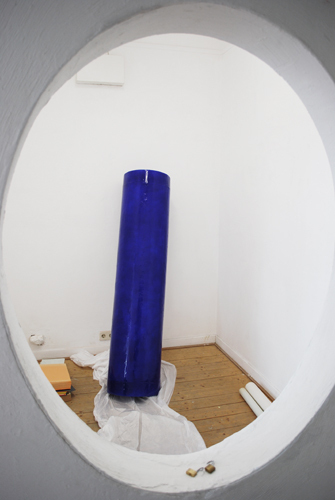 The Hamburg-based artists Tomma Brook and Anna Mieves was invited to translate the process of language and dialogue into material and objects. 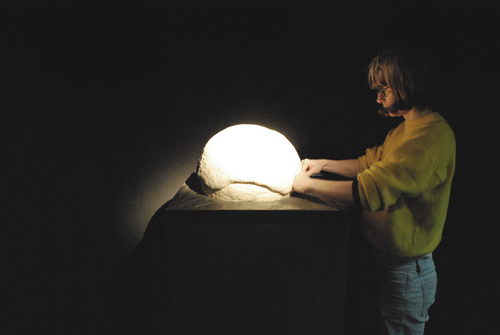 Tomma Brook and Anna Mieves preparing their dough sculpture. 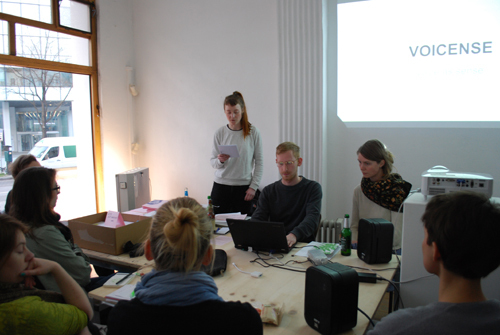 The Voicense-workshop by Signe Schmidt Kjølner Hansen and Hannibal Andersen is presented through videos documenting the process and models illustrating the methods of our experiments. 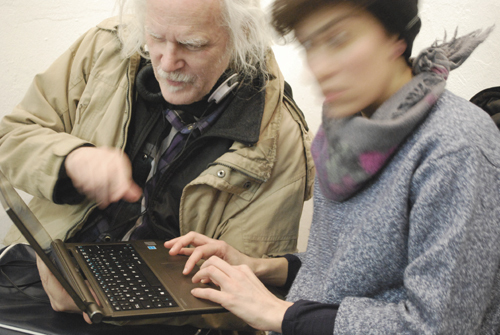 Public Lecture / Artist talk by Hannibal Andersen and Signe Schmidt Kjølner Hansen. 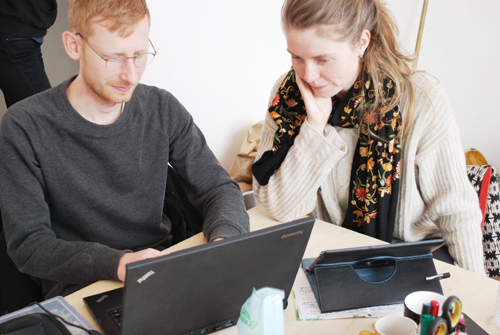 Hannibal Andersen and Signe Schmidt Kjølner Hansen preparing for the public lecture and workshop: VOICENSE.. 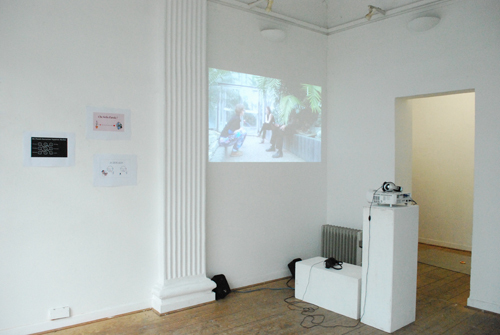 Sneak peek from the exhibition by Tomma Brook and Anna Mieves. 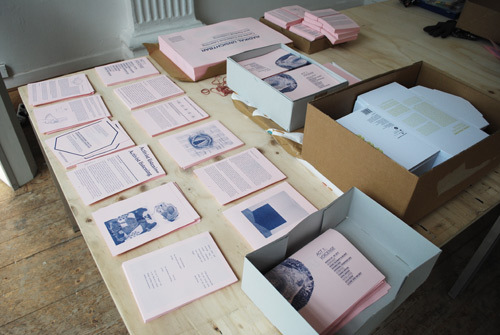 The book / catalogue for Radikal Unsichtbar is going to be beautiful! 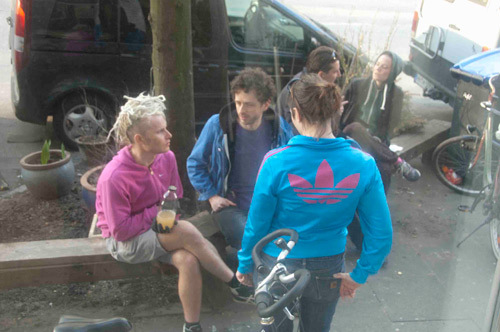 originally by Julia Bonn / Re-constructed and re-defined by Louise Vind Nielsen. PLEASE EXPLAIN ME SHORTLY WHAT YOU DO? HOW DO YOU RELATE TO SOUND IN YOUR WORK? WHEN AND HOW DID YOU GAIN INTEREST IN SOUND? 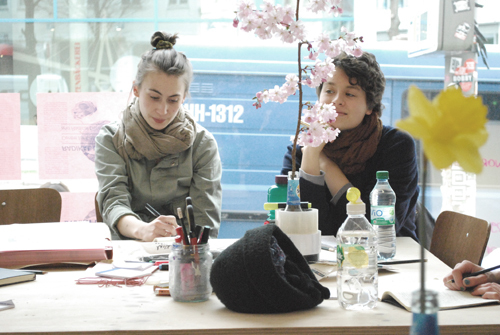 HOW DO YOU RELATE TO THE ACT OF LISTENING IN YOUR WORK? AND THE ACT OF LISTENING? HOW WOULD YOU EXPLAIN HOW SOUND "WORKS"? 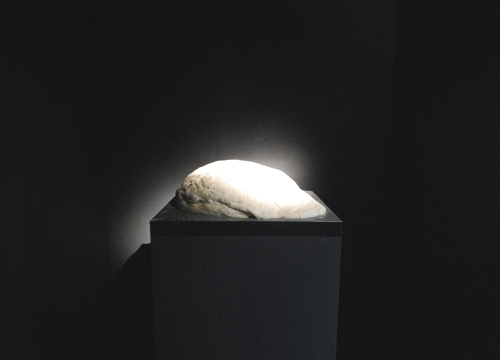 HOW DO YOU RELATE TO MATERIALITY IN YOUR WORK? 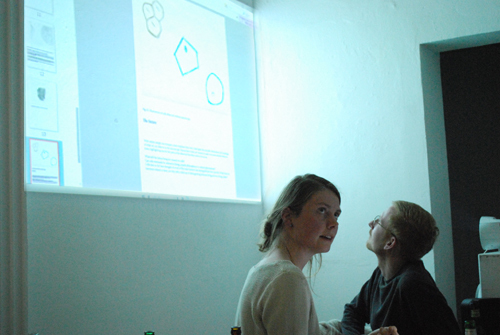 HOW DO YOU RELATE TO VISUALITY IN YOUR WORK? HOW WOULD YOU EXPLAIN THE CONCEPT OF "THE RADICAL"? HOW DO YOU RELATE TO THE "INVISIBILITY" OF SOUND? 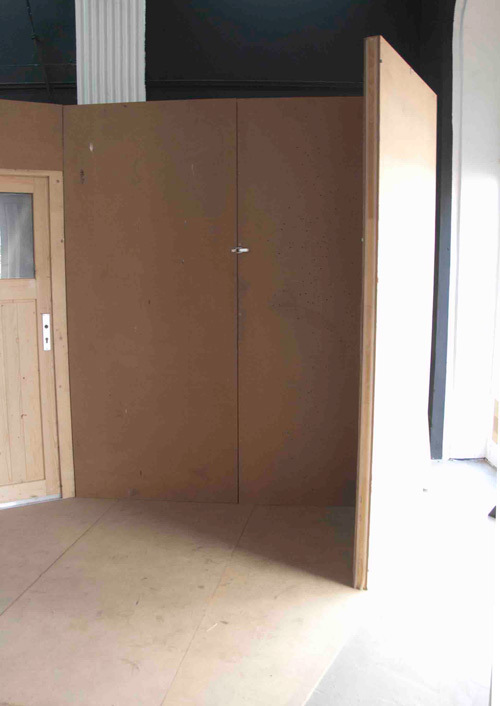 IS THE "INVISIBILITY" OF SOUND IN ANY WAY RADICAL? 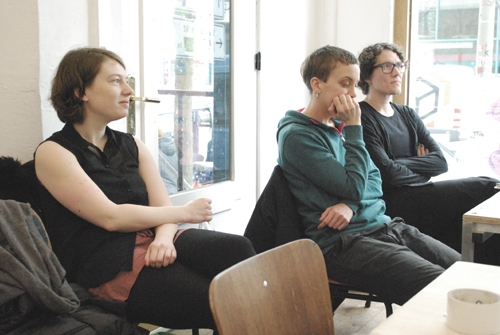 HOW DO YOU RELATE TO COLLECTIVITY? 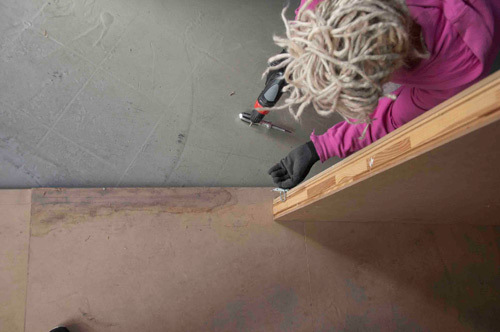 IS YOUR WORK IN ANY WAY RADICAL? 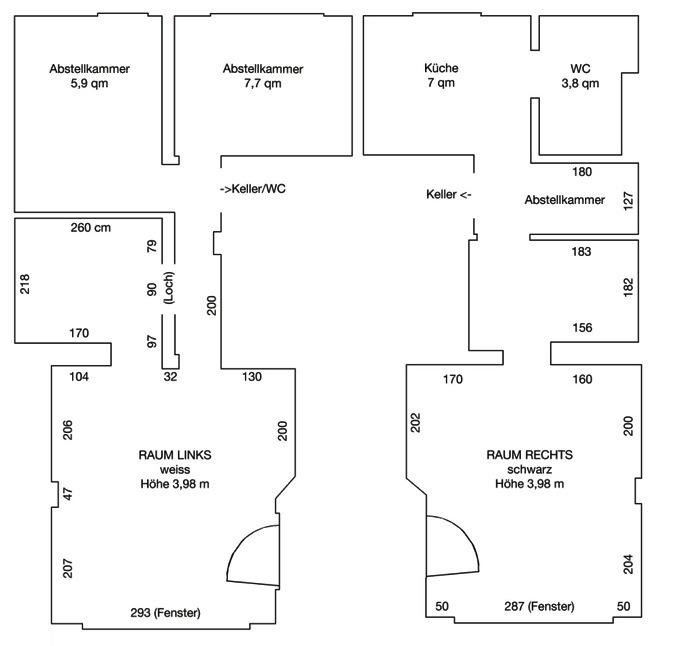 Radikal Unsichtbar will take place in Raum Linksrechts in Gängeviertel, exhibition space for young local artists in Hamburg. U-Bahn Station: "U2 - Gänsemarkt"